Railroad Cake. 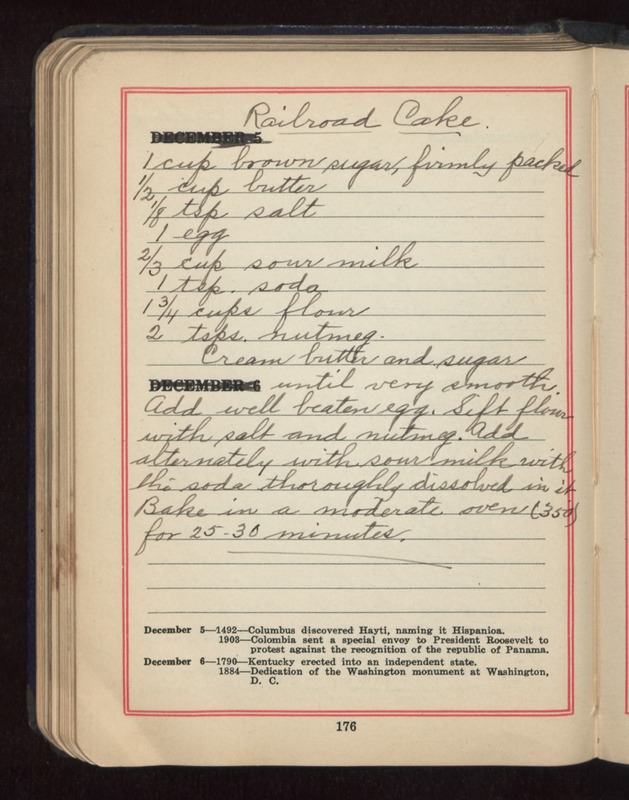 1 cup brown sugar, firmly packed 1/2 cup butter 1/8 tsp salt 1 egg 2/3 cup sour milk 1 tsp soda 1 3/4 cups flour 2 tsps. nutmeg. Cream butter and sugar until very smooth. Add well beaten egg. Sift flour with salt and nutmeg. Add alternately with sour milk with the soda thoroughly dissolved in it. Bake in a moderate oven (350) for 25-30 minutes.